Some clients must pass the means test before they can file chapter 7 bankruptcy. Clients whose annualized current monthly income exceeds the state median for a household of their size must perform the long version of the test. To pass the client will supply evidence of certain monthly expenses which can be deducted from their income to fall below a certain threshold and thereby qualify for chapter 7 bankruptcy. For many clients with car loans or mortgages the ability to deduct secured debt payments will be critical to passing the means test. In essence, car and house payments often make-up the lions share of monthly expenses, and the ability to deduct these expenses frequently makes the difference between qualifying and not qualifying for chapter 7 bankruptcy. In deducting secured debt payments on the means test some attention must be paid to whether the client is surrendering the property. In re Wilkins decided in 2007 allowed a debtor to deduct secured debt payments on collateral the debtor intended to surrender since the means test and its 6 month look-back period is measured as of the petition date. Accordingly, this rigid approach to deducting secured debt payments is a benefit to chapter 7 debtors who intend to surrender property as they can still deduct the related payments on the means test. However, the rule changes where chapter 13 bankruptcy is concerned. In calculating disposable income the 9th Circuit BAP reasoned that a debtor could not deduct payments on secured debt for property the debtor intended to surrender post-petition. 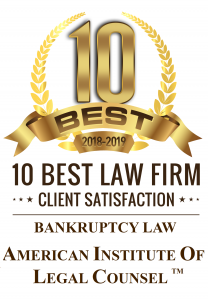 Therefore, if the debtor does not qualify for chapter 7 bankruptcy even with deducted secured debt payments, the debtor must delete those deductions in calculating disposable income in chapter 13 bankruptcy. The consequent increase in disposable income may make a chapter 13 plan infeasible and thereby frustrate the client’s ability to achieve debt relief through bankruptcy. In brief, you can deduct secured debt payments on collateral you intend to surrender on the chapter 7 bankruptcy means test, but not when calculating disposable income in chapter 13 bankruptcy. To learn more about Adam Garcia visit our homepage. If you have questions about bankruptcy you can schedule a free consultation to determine whether you qualify for chapter 7 bankruptcy.